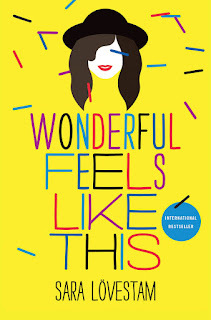 Sara Lövestam is the author of the young adult novel Wonderful Feels Like This, now available in the United States. It is her first novel to be translated into English. 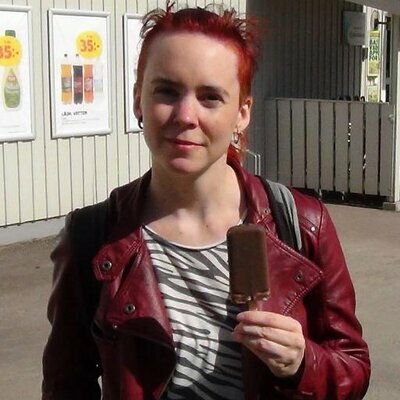 She lives in Sweden. 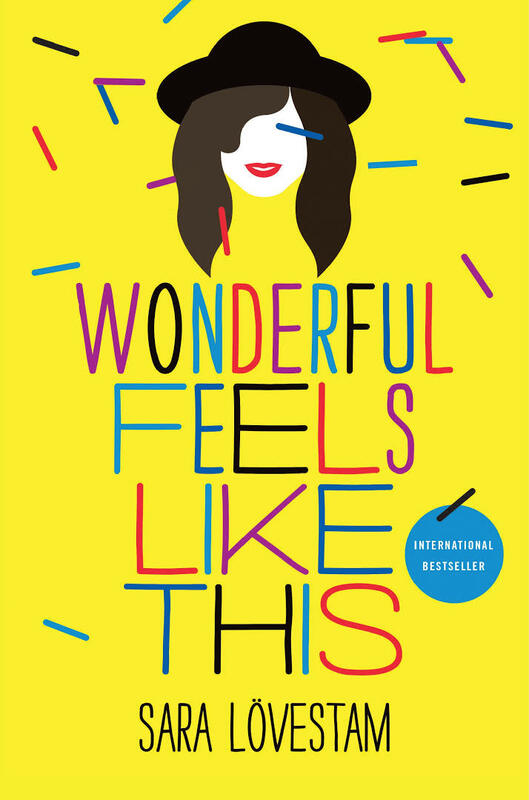 Q: How did you come up with the idea for Wonderful Feels Like This, and for your characters Steffi and Alvar? A: I was actually thinking of this jazz musician, Povel Ramel, who was also a comedian who wrote (and sang) very witty and quirky lyrics. He's kind of old school, but I really enjoyed his songs when I was a young girl. One day, a few years ago, I started talking to a male friend of mine about Povel Ramel. He was very surprised when I said I really liked him and knew all his lyrics. Turned out, in his mind anyone who likes Povel Ramel is an old man. So I began to ask around: Who do you think of when you imagine "a person who likes Povel Ramel"? Everyone had the same answer: An old man. So I asked myself: What is it about Povel Ramel that makes old men like him so much but that also, evidently, attracts a young girl to his music and lyrics? And those old men and the young girls that like him, what do they have in common that attract them all to Povel Ramel? That's how the thought of writing this book came up - I wanted to explore a friendship between a young and an old soul, solely based on Povel Ramel. As I started writing, all kinds of other themes and characters appeared and the whole story took shape. Q: Can you say more about why you chose to focus on jazz, and what role has jazz played in Swedish musical history? A: I myself am an amateur musician. I went to music school (the same that Steffi applies for in the book) and one of my favorite music genres is jazz. I also enjoy the feel of the stories I've heard from the old days, when jazz and swing dance were new phenomena in Sweden. Anyone who visited the legendary dance palace of Nalen talk about it like the best parts of heaven and hell combined. When I started doing my research, I found it very easy to get into the spirit of the ‘40s jazz scene in Sweden, probably because I've heard all those stories. And, I must add, I have received a ton of response from people who did visit Nalen in their youth and who say I've captured the atmosphere in my book. I know in the USA the book is launched as a YA, but in Sweden it was published as a book for adults, and I'm overwhelmed by the responses I've had from all those old jazz dudes in their 70s and 80s who have read it. Q: One of your main characters is a teenage girl and one is a man in his late 80s. Can you say more about why you decided to create a friendship across the generations? A: I think there should be more interactions and friendships between young and old people; we can all teach each other a thing or two. And I also think that history should be made alive, so that we can see how people who lived before us were not so different, and in the end hopefully learn not to make mistakes that have already been made before. This is not my first, or last, book dealing with the relationship between past and present, but it's my only book where history is actually told by a man old enough to have experienced it and young enough to still be alive to tell it. A: The Swedish title was actually Hjärta av jazz, meaning "Heart of Jazz." I don't know the exact reasons why the U.S. publisher wanted to change it, but I'm sure there was a good reason. I think the current English title sounds a little bit like it could be a quote from the lyrics of a '40's jazz tune, which I like. A: I have just started a new project, which I am so excited about. It's about this woman, Monica, who goes through a life crisis and gets into genealogy as part of sorting out her life. Parts of the book tell the story of her ancestors as she finds their traces, and parts of the book tell her present life. There is also a teen boy in this story, her neighbor, and one of my ideas is to write a YA book about him as part of the project. A: Well, I could share this video with you to give a sense of Swedish jazz in the ‘40s. This is from a Swedish film made in 1940, starring Alice Babs who was just 16 at the time. (She appears in the book as well). The name of the song would translate to "Swing it, Teacher," and the theme of the film is the dangerous, new jazz music that excites the youth and upsets the adults (except this male teacher).